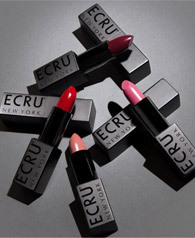 We're glad that you will be joining us for a class at the ECRU New York Academy. 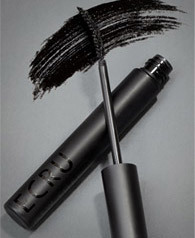 ECRU New York believes that a company's foundation is built on expertise, thus education is intrinsically connected to all we do. We look forward to welcoming you soon, and below you will find the information that you need to prepare for your experience. Newark Liberty International would be the closest option for travel to the Academy. Once you've landed, hop in a limousine, car service or yellow cab and head to your hotel. Most limos, car services & taxis accept credit cards. On average the fares from NYC airports range from $75-$125 depending on which airport you're coming from and traf?c. Taxi service is available at taxi stands outside each terminal in all Newark, LaGuardia and Kennedy airports. Private cars provide 24-hour door to door airport transfers for roughly the same cost of a taxi, the advantage is that you can arrange for an outside pickup in advance and avoid the hassles of the taxi line. We recommend: Uber and Lyft. Also, try the Google maps mobile app, it will give you door to door transit directions in the greater New York area. Free download available on your mobile device app store. From apartments to hotels there's a space to accommodate everyone's budget and taste. Don't forget to bring a copy of your cosmetology or barber license with you to the Academy. Tool list will be provided by class. We will provide head sheets and a pen for note taking. You can also bring and use your own iPad. 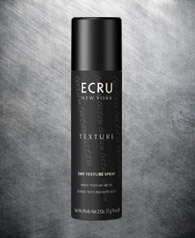 Instructions for ECRU New York's Web app will be provided during class. Feel free to use your camera or iPhone to take pictures. We do recommend you bring a sweater, scarf or jacket as classroom temperatures vary. Coffee and Light Snacks will be provided throughout the day. The ECRU New York Academy looks forward to hosting you and we will see you soon!